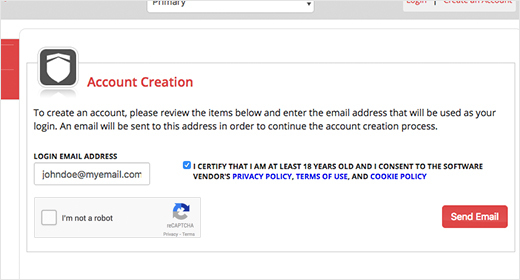 When someone creates a new account, they will be required to agree to the iClassPro terms as well as provide their email address. 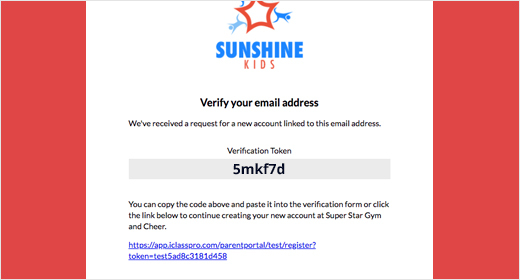 After doing so, they will receive an email where they can either copy the verification code or click on the link to complete registration. 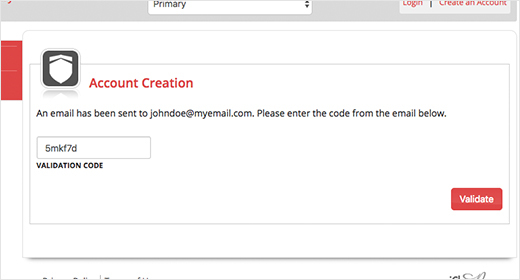 Users will have up to 20 minutes to verify the account, otherwise, they will need to re-enter their email address. 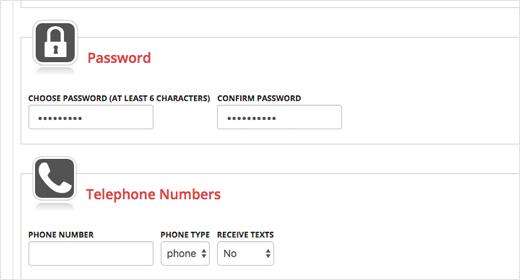 Once they verify their account, they can complete Registration. Read more about our secure sign up here.